Mark Elliott at International Yacht Collection will host an open house on 51.8m motor yacht Dream on June 4 at the Hyatt Pier 66 in Fort Lauderdale, Florida, on the Face Dock from 4pm to 7pm. Built by Feadship in 2003, Dream was extensively refitted in 2009. A tasteful interior in Anigre wood sleeps 13 guests in a master suite, VIP stateroom and two double and two twin cabins plus a staff cabin. An elevator runs through all four decks and twin Caterpillar engines give Dream a cruising speed of 12 knots. 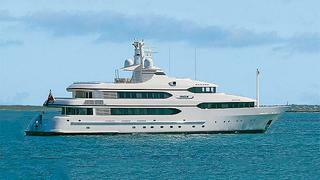 With only one owner since new, Dream is asking $34.9 million.